Genuine OEM HP Ink Cartridge Bundle Pack, 220 page yield. 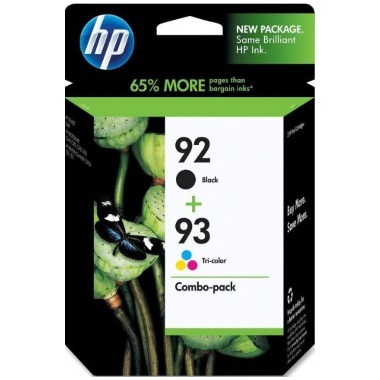 Bundle pack includes: one Black (HP 92), one Tricolor (HP 93) ink cartridge. HP part number: C9513FN, C9513FN#140.